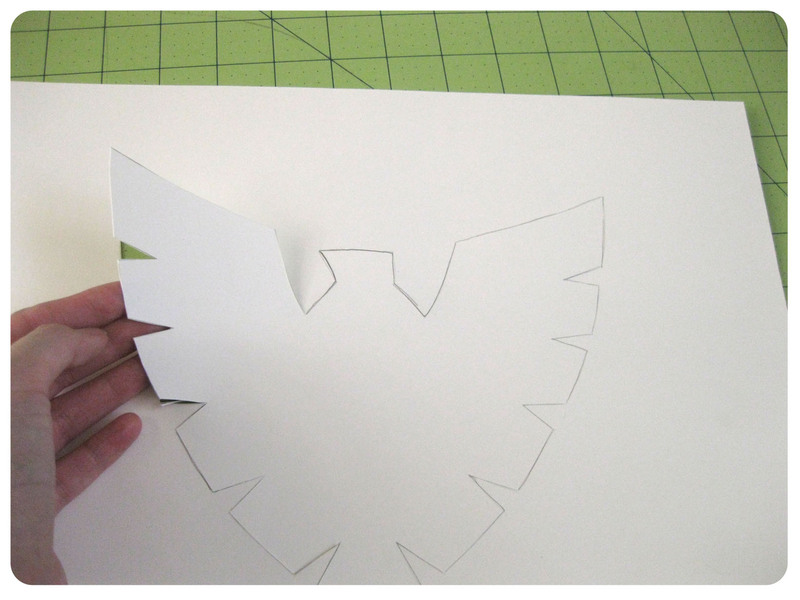 Today’s DIY is an example of what you can do with a few simple supplies. 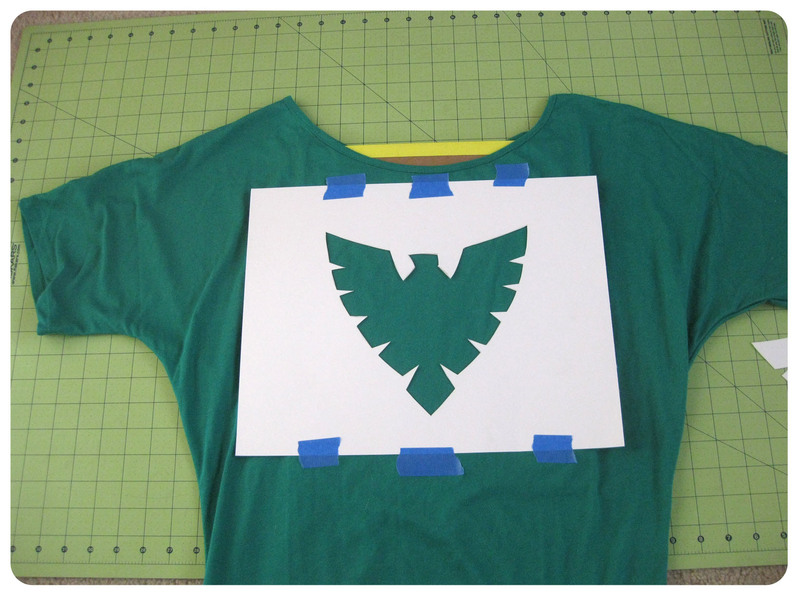 With a little imagination, you can transform any piece of clothing into something fun and geeky! 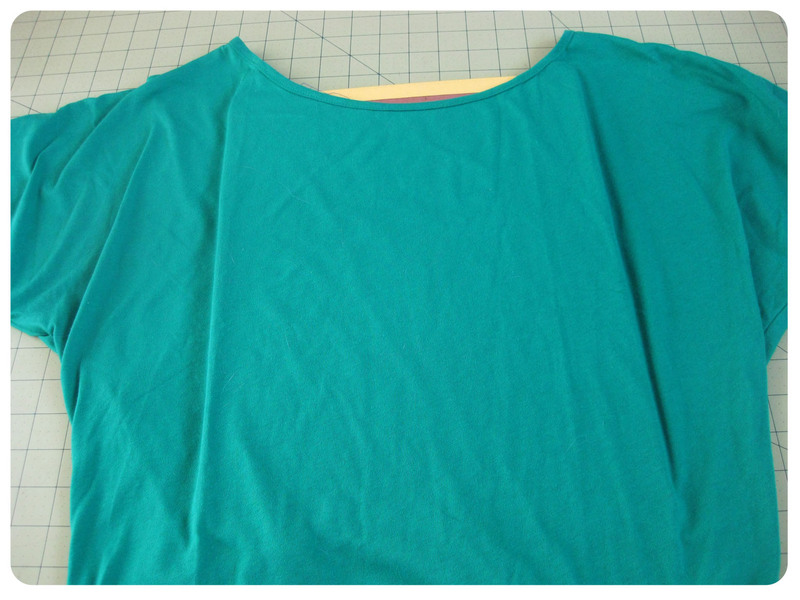 What inspired me to make this top was this pin that Scruffy actually pinned. 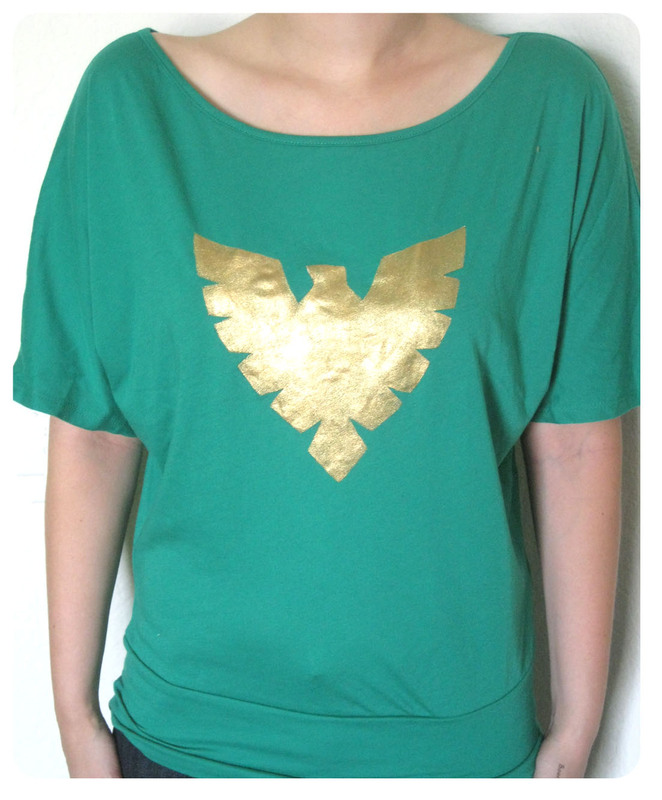 I loved the look of the over sized top with the simple Batman symbol. Since X-men is one of my favorites, (have I mentioned that yet?) 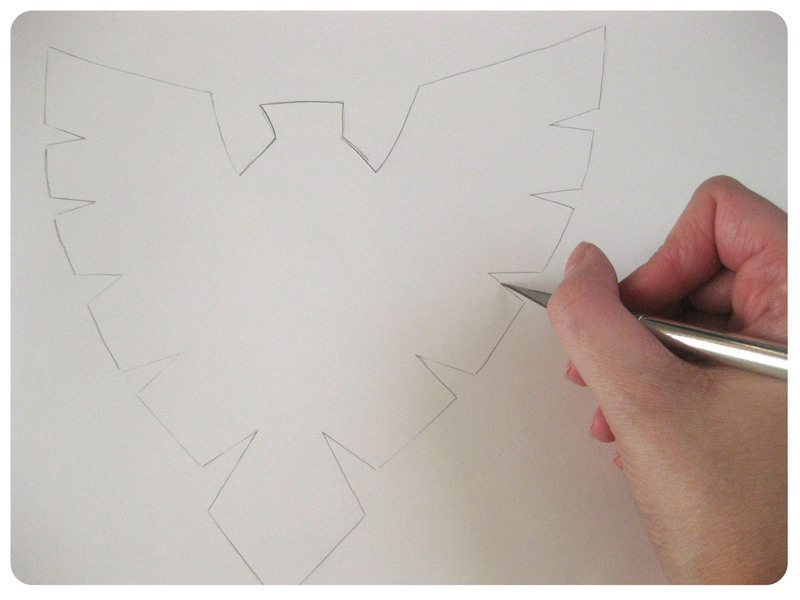 I came up with a great idea to create a version with Phoenix’s symbol. The key for me with this project was finding the perfect top. 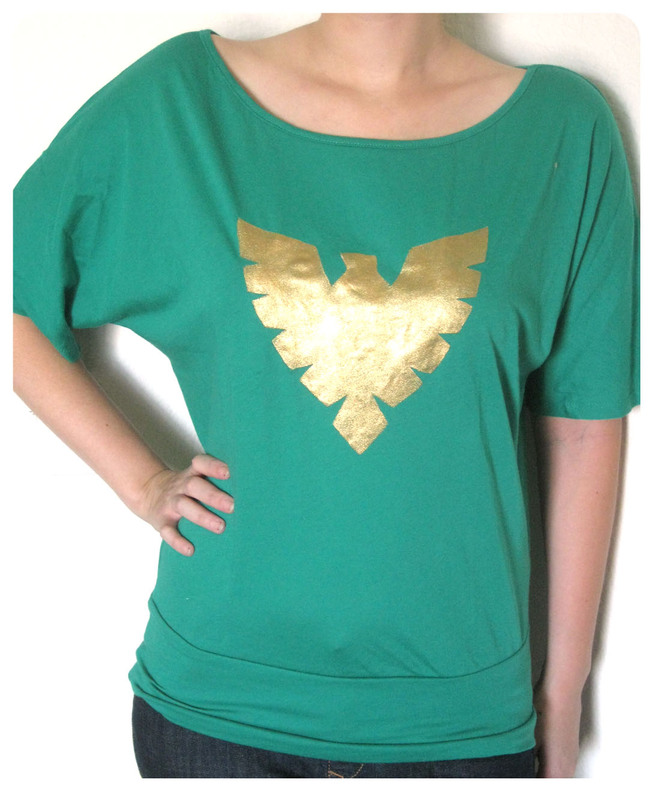 I wanted to find something that was over sized like my inspiration image and the perfect shade of green for Phoenix. 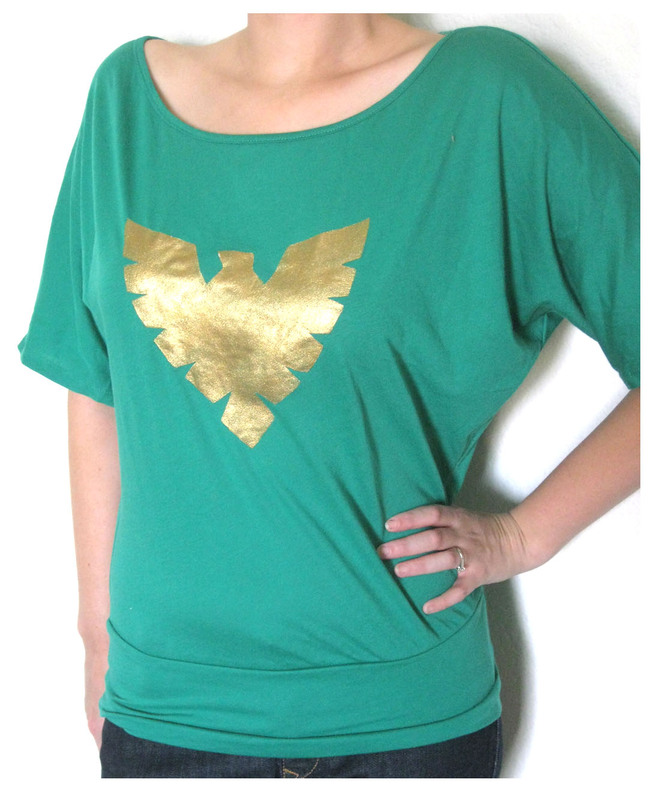 I happened upon this shirt from Alloy. Once I had my top, it was on to the fun part! The first thing I did was sketch out the design I wanted. 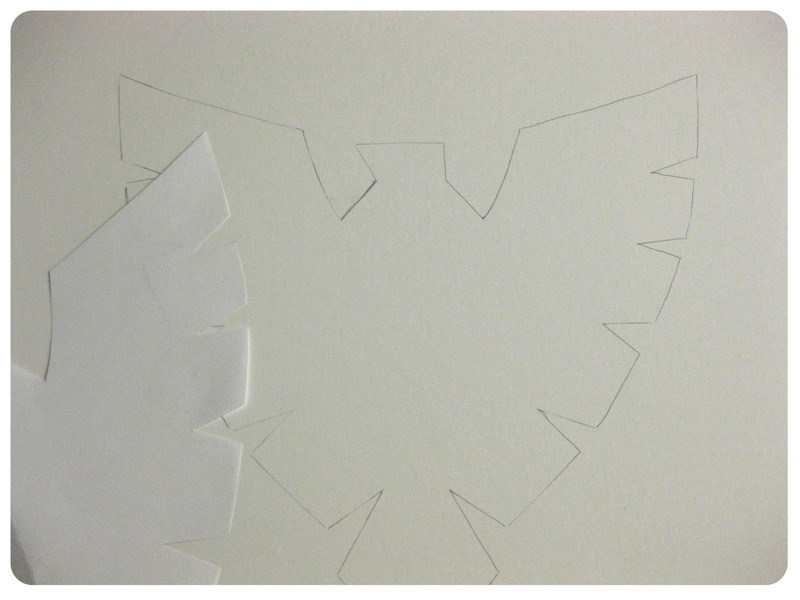 The best way to get a symmetrical design is to draw one side, fold it in half, and then cut the image. If you aren’t the best artist, you can always search for an image and print it out. After I cut out my image, I placed it on my shirt to make sure the size would look right. 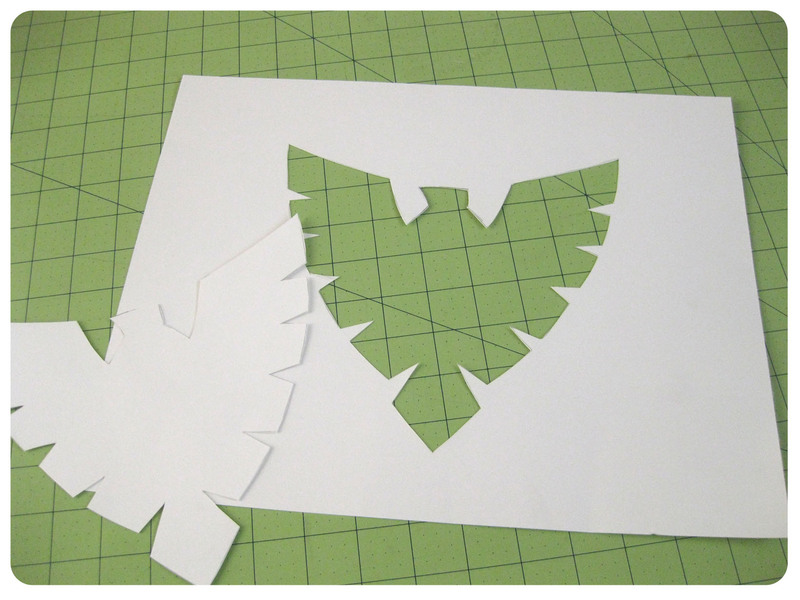 Once I was happy with the size of the design, I traced it onto a piece of bristol board and then cut it out using an exacto knife. Next, I placed something under my shirt, in this case the pad of bristol paper, so that when I was painting I would have a flat surface to work on. This also helps to make sure the paint doesn’t bleed through. 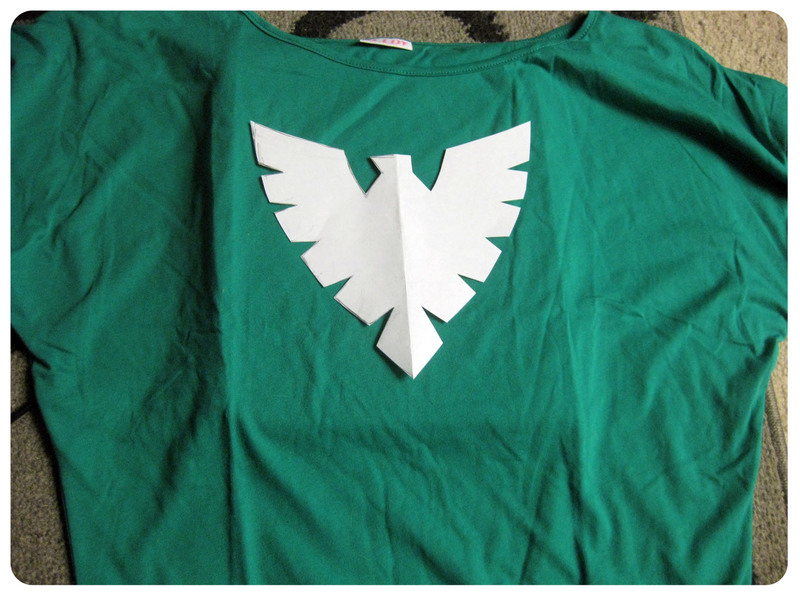 Although, I would recommend something like wax paper put between the hard surface and your shirt, because the cardboard ended up sticking a little to the inside. I placed the design so it was centered on the shirt. Definitely take your time with this! 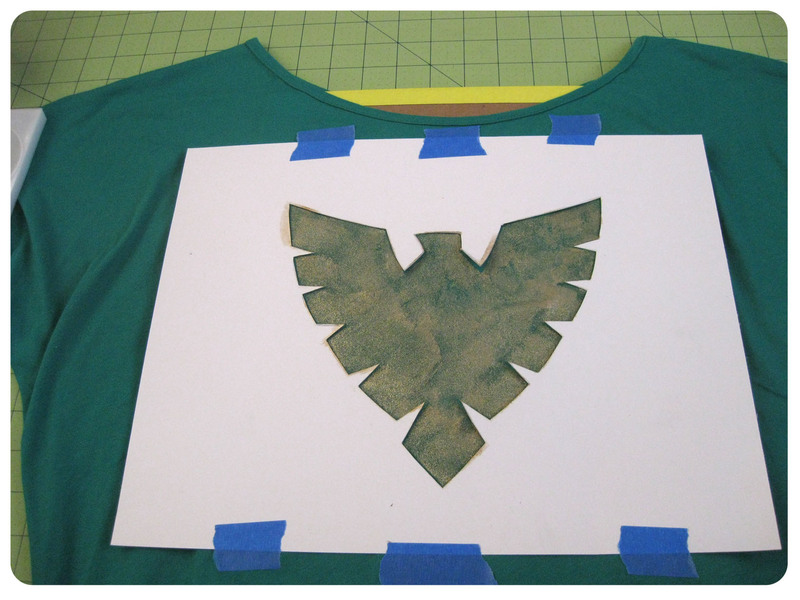 Once I determined the placement, I used blue painter’s tape to tape the design down. I used this type of tape because I knew it would come off fairly easily and wouldn’t pull the fabric, but still holds fairly well. 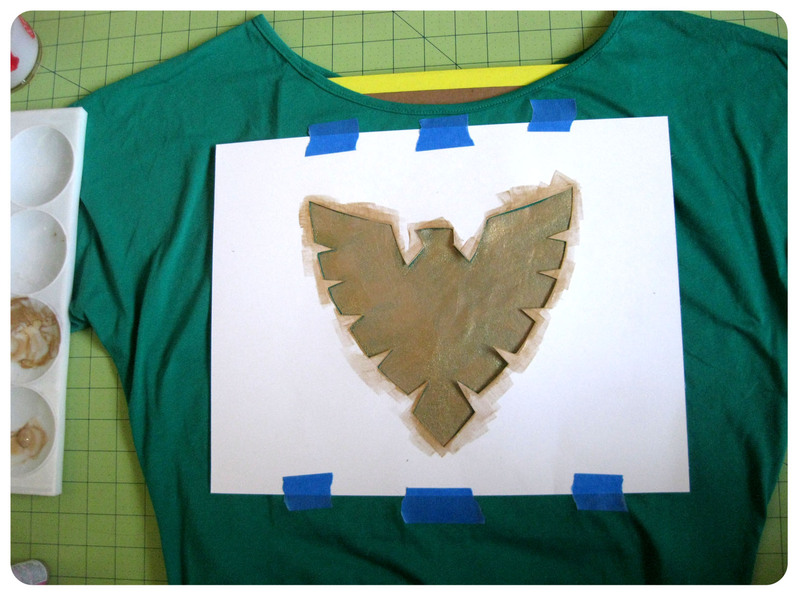 After that, I started paint thin layers of my fabric paint onto my shirt. You can thin out the paint by making sure your brush is a bit damp with water. 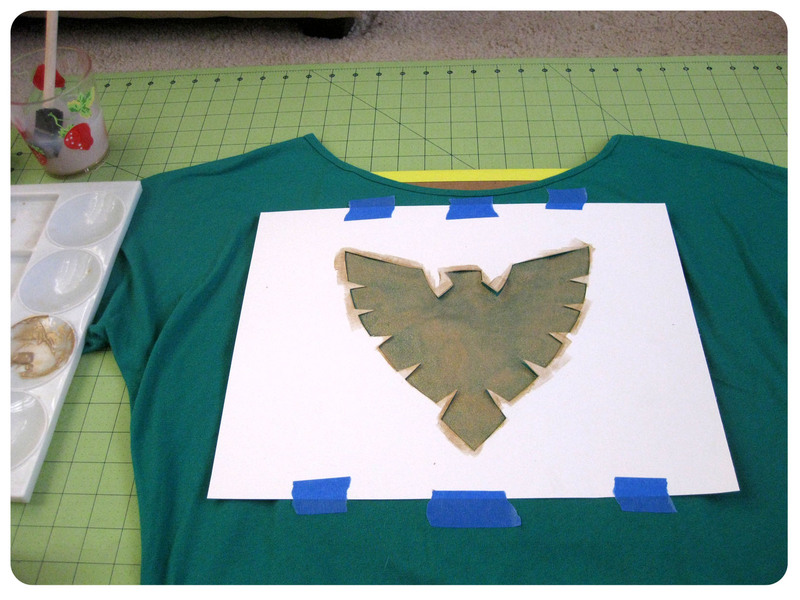 Also, if you’re afraid to start painting on your item, try practicing on some scrap fabric until you get it down. I originally tried used a foam brush but it was pulling at the fabric too much, so I switched to a flat synthetic brush. 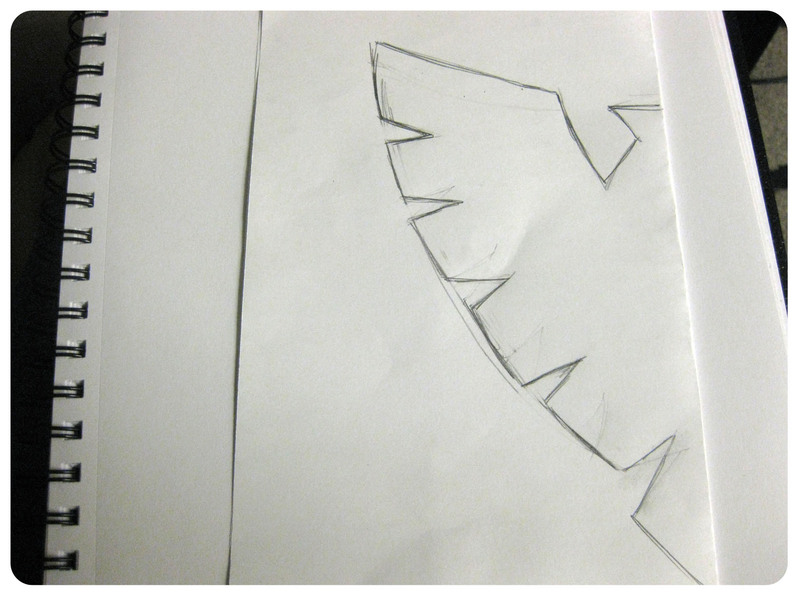 I started at the edges of the design first and just worked my way around. I suggest painting in a place where you can move around a lot. 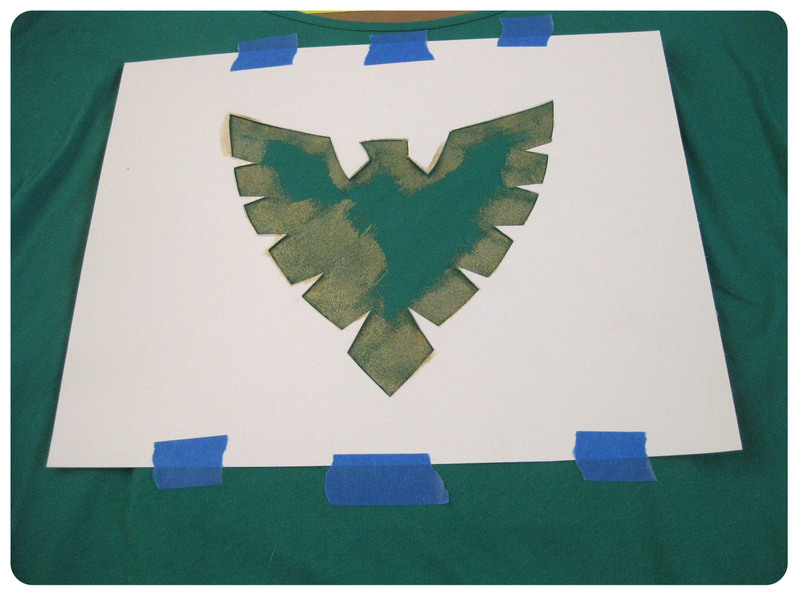 I also made sure to hold the stencil down and paint away from it so that no paint gets underneath. Once the outline was done, I filled in the middle. Now it doesn’t look great at this point, and you can still see a lot of green through the paint. 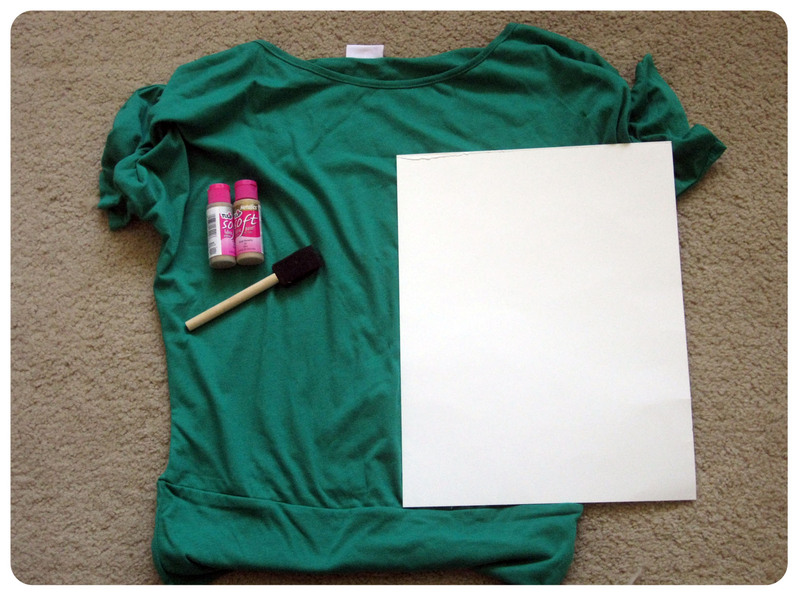 What you’ll probably need to do is paint a few layers. Also, make sure the paint dries a little in between coats, otherwise you’ll pull up the paint, with your brush, that you just placed down. Here’s how it looked after 2 coats. And this is what it looked like after about 4 coats. 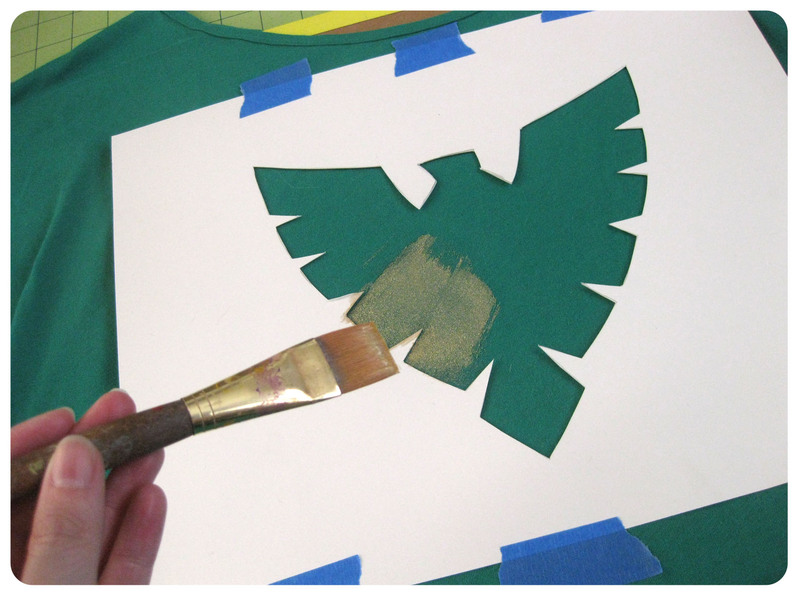 Now you need to remove the stencil while the paint is still wet, otherwise you might risk pulling up part of the design. And here’s the final product! It might seem like a lot of steps, but I was able to get it done in an afternoon. You can definitely do variations of this. I went with a more solid look, but you could easily create a more distressed look by using less paint layers and and not being as careful with the outline. What do you think? Is there a design you would love to put on a shirt and are eager to paint? 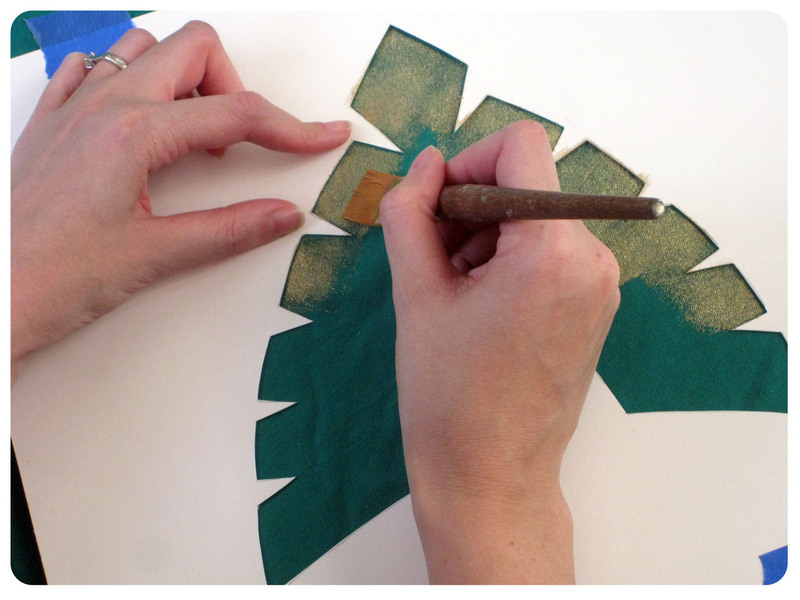 Do you know of other ways to add designs to clothing using different materials. Feel free to share either here or on our Facebook page! Did you add a sealer after you painted it? or a clear coat? 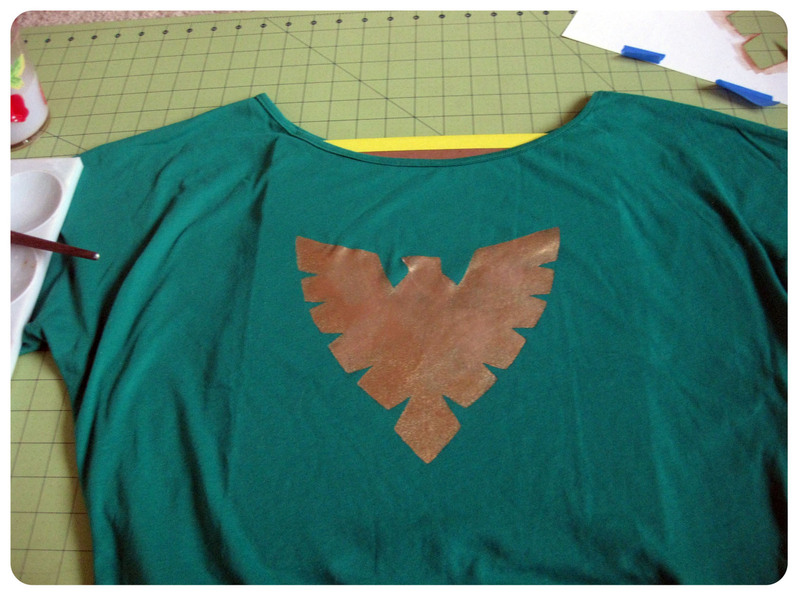 Since I used fabric paint, I didn’t use any type of sealer. Michaels has a great FAQ guide on their site for taking care of fabric painted pieces. I hope that helps!